Anastasios Papagiannoulis is the man behind Tash alias. Born & raised in the small & attractive city of Veria (Greece) in 1984, Tash grew up surrounded by music & arts playing a big role in his growing times! His 1st DJ experience came in the late 90s, while being involved in HipHop & Graffiti, and had his first touch on a pair of MK2 Turntables & Mixer, recording in analog his first mixtapes !! In the early 00s, Tash got attracted by the progressive genres of that time & started collecting & spinning his very first House, Techno & Progressive vinyls, during his 1st residency back in his hometown at the legendary Mojo Bar (2001-2003). At the epilogue of his residency, he met Stage Van H, his dutch partner-in-crime & mentor and moved in Thessaloniki, launching together the DJM Productions (DJ Movement) in 2005, responsible for major Dance Events in top Clubs, next to important pioneers of the global Electronic Music Industry, while at the same time he started his first experiments in his home-studio !! 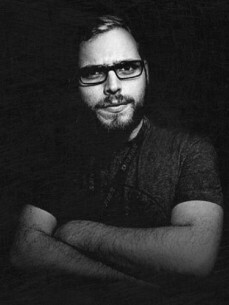 Since then, Tash received big support for numerous works released on labels such as: Sog, Presslab, Tribal Vision, Baroque, Vapour, Echoes, Iboga & Lowbit to name a few, receiving great reactions & feedback by the likes of Hernan Cattaneo, John Digweed, Nick Warren, Dave Seaman, Sander Kleinenberg, Armin Van Buuren, Above & Beyond, Andy Moor, ao.. In 2008, Tash & Stage Van H dropped their debut Album CD entitled Movement climbing on #4 of Psyshops Best Sellers, launching their own imprint, Movement Recordings which later became one of the most innovating Labels based in Greece!! His Discography so far includes 1 Album, more than 30 appearences on Compilations, 5 to compile, and more than 90 Singles/EP releases, entering often the last years Beatports Top100 Charts, as well as playlists of top Players of the Electronic Dance Music Industry & established Tash as one of its main Greek Representatives! His diverse DJ Sets varying from Deeper Tech House, to Progressive, up to Techno have been aired on radios worldwide, while hes been headlining on major events & festivals like: ADE (NL), Fusion Festival (DE), Ozora (HU) & SeeMe (BG) to name a few. At the same time he enjoyed performances in top clubs, such as: Ministry Of Sound / Gallery (London), Cafe DAnvers (Antwerp), Cat & Dog (Tel Aviv) & other main clubs in Argentina, UK, Netherlands, Austria, Belgium, Germany, Romania, Poland, Bulgaria, ao. So far, Tash shared decks with a huge amount of Artists incl. Hernan Cattaneo, Guy J, Nick Warren, Tiesto, Minilogue / Son Kite, Lutzenkirchen,Quivver aka John Graham, Cid Inc, Spektre, Ticon, Neelix, James Monro, Atmos, Khainz, Kasey Taylor & more.. ! !